If you have turned on the TV, read through your social network, or basically been in human contact with someone, then you’ve heard about it: The Tide Pod Challenge. Teens, at disturbing rates, are eating Tide Pods and putting the videos on YouTube. We tell our children about the dangers of doing something like this, but teens? It seems like common sense that they would know. 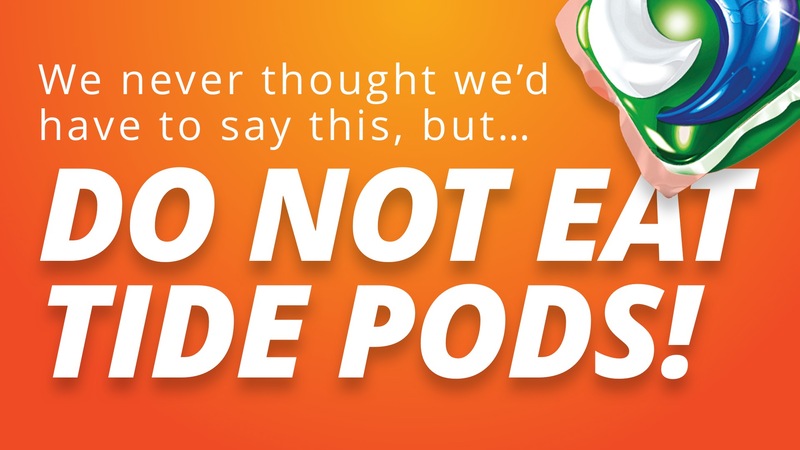 Unfortunately, more than 40 teens have been treated for pod related poison. To help educate teens about the dangers of pods, our Creative Team is challenging schools to use the template below. Schools can use it to make sure their students don’t become part of the statistic. Are You Being Social With Your Digital Signage?